Audiologists are regulated health care professionals who evaluate, diagnose, treat and manage hearing loss and other hearing-related disorders, whereas a Hearing Instrument Specialist is a college-trained professional who is specifically equipped to test hearing and dispense prescribed hearing aids. What's the essential difference between an Audiologist and a Hearing Instrument Specialist? Audiologists are health professionals regulated by The College of Audiologists and Speech-Language Pathologists of Ontario (CASLPO). Audiologists can prescribe and understand the science and health impacts of hearing on your life, mind and body. An Audiologist is trained to test hearing in all human populations, from infants, to mentally disabled, to those who willfully do not want to reveal their true hearing status, in addition to the mainstream elderly adult. The Hearing Instrument Specialist is trained to test hearing, to refer to other hearing health care professionals when necessary, and to recommend and fit hearing aids. The number of hearing health care professionals is dismally low when considering the vast numbers of the aging population with hearing impairment. Look at the imminent bulge of the aging baby boomers! The public’s hearing health care needs must be addressed by the combined presence of both the Hearing Instrument Specialist (HIS) and the Audiologist. The HIS, more than the Audiologist, is likely to be found in smaller communities throughout Canada. Given these facts, we need to work together! The Audiologist definitely has the larger, more comprehensive scope of practice. 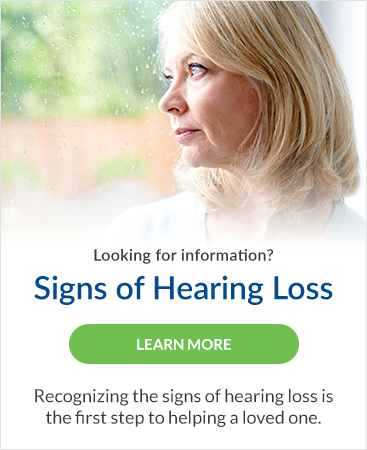 In addition to the mainstream adult population, the Audiologist is trained to test hearing in all populations, including infants, the mentally disabled, and those who cannot respond to the typical hearing test. The HIS has a smaller scope of practice, largely limited to the mainstream adult population. The HIS, however, is a college-trained professional who is well equipped to test hearing, recommend, and dispense hearing aids with no ensuing harm to the public. This huge adult population accounts for the vast majority of the hearing-impaired population, and this population can aptly be served by either the HIS or Audiologist. It is this population in particular that is served within the area of private practice. The simple fact, however, is that the HIS and Audiologist are both professionals whose scopes of practice overlap considerably. Audiologists spend 6-7 years studying for their profession, but not all these years are spent studying Audiology! In Canada, the Audiologist must have a Masters Degree. A Bachelors degree (BA or BSc) takes 4 years and a Masters degree (MA or MSc) takes another 2-3 years. There is generally no such thing as a Bachelors Degree in Audiology. While earning the Bachelors Degree, a student may hear about the field of Audiology and realize this wonderful occupation can be had with continued Master Degree studies. The HIS is engaged in the same arena of hearing health care as the Audiologist, but has 2-3 years of college training, not university training. Colleges train for vocations and applied skills, not for doing research. The HIS is trained specifically to test adult hearing and recommend and fit hearing aids. Therefore, it is not true that the Audiologist has adequate training and the HIS does not. There is simply more than one venue from which the public can choose for mainstream adult hearing health care concerns. For more information about the differences between Audiologists and Hearing Instrument Specialists, please contact Lincoln Hearing Clinic today. We can help you determine which professional will best serve your needs.